Navajo artist Calvin Begay is known for fantastic geometric designs, each more astonishing than the last! Featuring a multitude of inlay stones such as spiny oyster, turquoise, black jet and white clam shell, the long rectangular dangles are accented with linear designs. 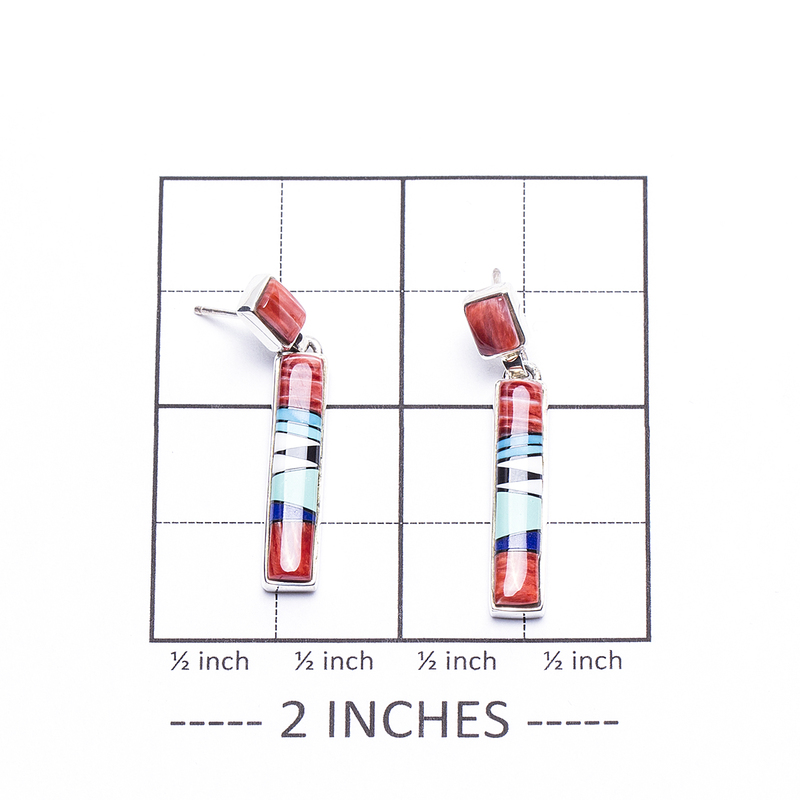 These sterling post dangle earrings measure 1 1/2″ high by 1/4″ in width. 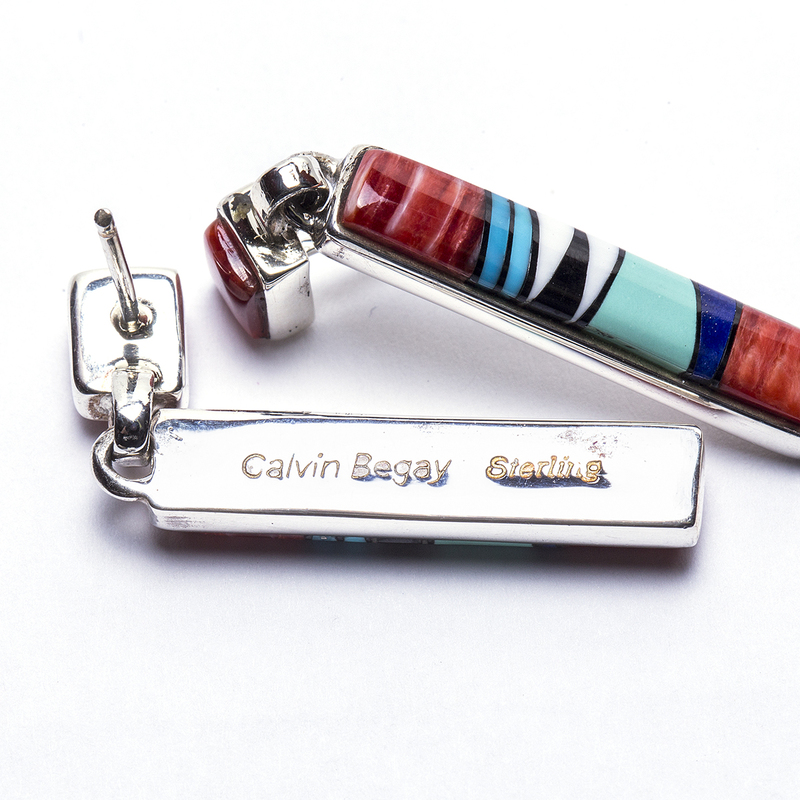 They are hallmarked “Calvin Begay” and “Sterling”, and weigh 7.0 grams. Stunning inlay designed by a well-known Navajo artisan and accomplished designer, Calvin Begay! We also offer free gift wrapping with each purchase! 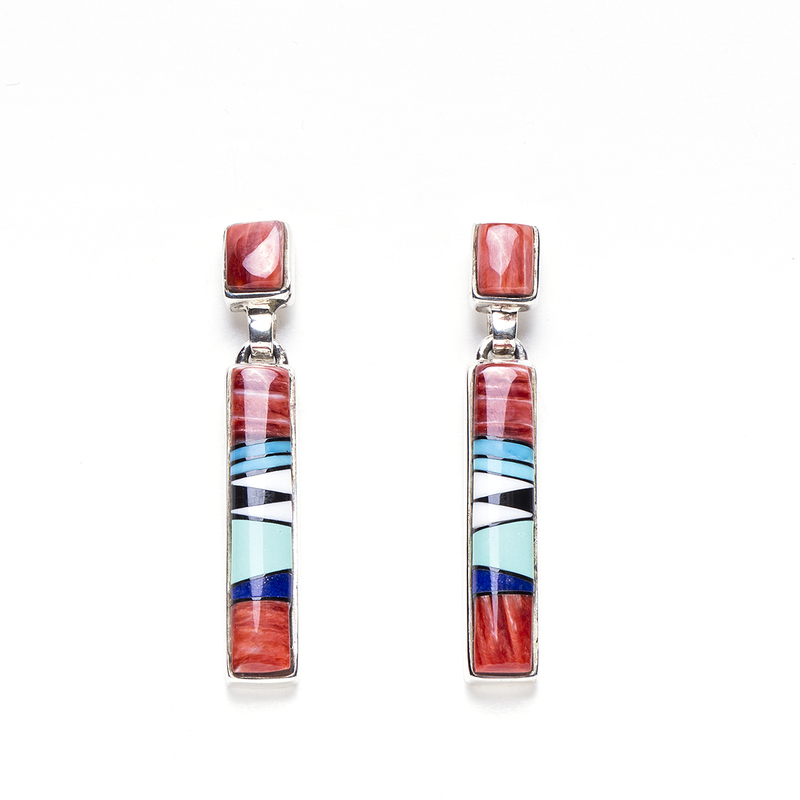 Whether you’re a collector of well known artists or you’ve just begun, this pair of Navajo Calvin Begay Multi Stone Earrings is a must have!